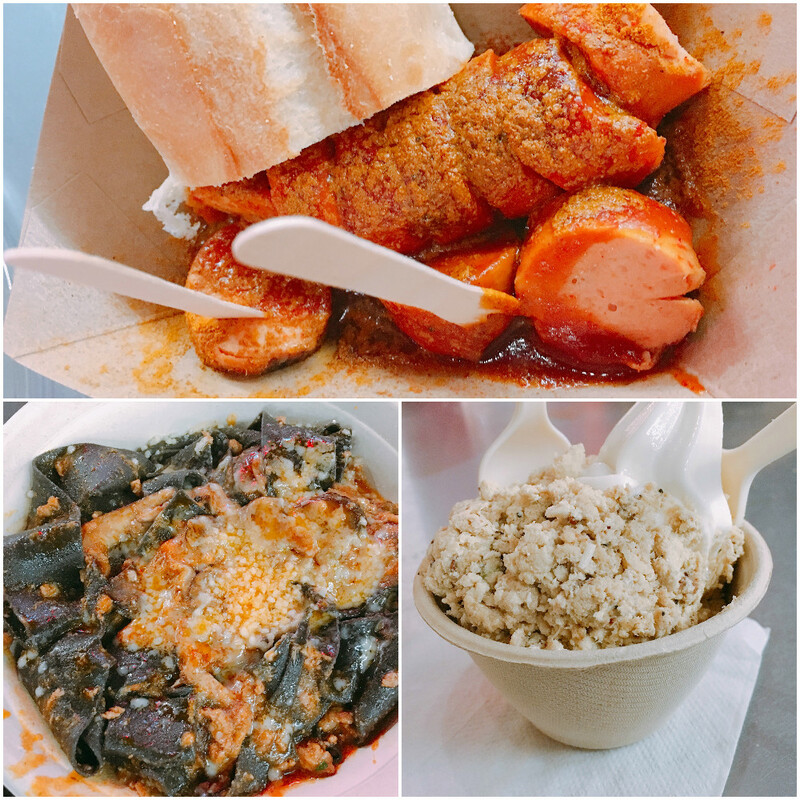 I recently went on a food vacay with Twin Sista and Erin to visit our friend Sarah in NYC. It was a weekend packed with eating, walking, shopping and more eating. We mainly sampled little bites so we could eat as much delicious food as possible. I'm thrilled that I was able to cross off a couple bucket list items as well as get introduced to new favorites. Best Meal: Our first dinner in the city was for Korean BBQ at Kang Ho Dong Baekjeong. I have never had Korean barbecue that was so flavorful and tender and a special bonus: steamed egg and cheesy corn being cooked in troughs around the tabletop grill. Most Surprising Bite: I have been obsessed with this video from Louie that showcased the Jewish Deli Russ & Daughters. Never have I seen anyone enjoy food more than Louie in that scene and I wanted to experience everything he tasted. The whole fish he ate in the video is their Holland Herring, which wasn't available until June 15: the day after we left NYC. But as a substitute, I sampled their pickled herring fillet in plain sauce, cream sauce and then mustard sauce (the guy behind the counter was super helpful and let me sample many bites). When everyone tried a bite of the herring, we all had the same reaction: "WHOA!" It wasn't fishy but a little sweet, a little tangy, tender and so delicious. 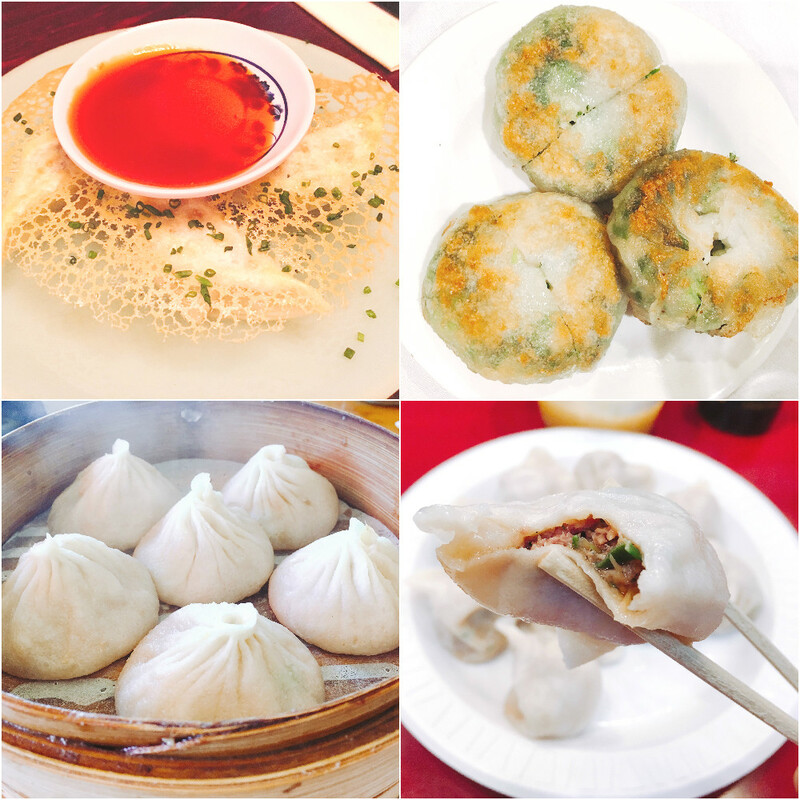 Number of Restaurants Where Dumplings Were Consumed: FOUR. I love dumplings and couldn't get enough of them even after having some at Mission Chinese (their Kung Pao Pastrami is stellar) and at dim sum brunch in the White Plains hidden gem Aberdeen Seafood and Dim Sum. On our last afternoon, we took a trip to Flushing (the real NYC Chinatown) for incredible soup dumplings at Nan Xiang Xiao Long Bao and even more dumplings at Tianjin Dumpling House for their lamb and squash dumplings that a Serious Eats writer hailed as his favorite dumplings in the city. Number of Bagels Sampled: THREE. The last time I visited NYC, I was on the quest to find a good NYC bagel. According to the New York Times, a bagel that is "near perfection" is "crunchy, not too dense or sweet, and just chewy enough." 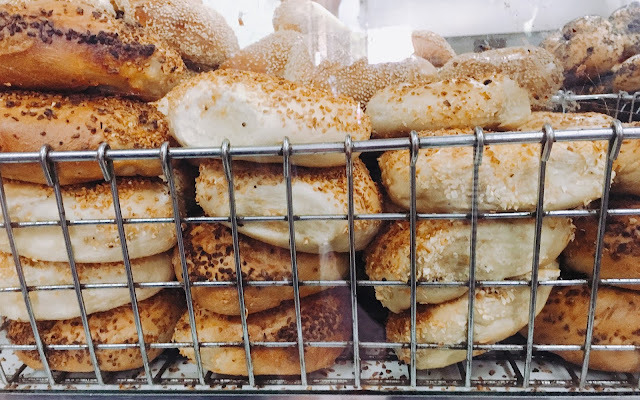 We sampled two top NY bagel shops: Ess-A-Bagel and Absolute Bagels. The bagels were either too dense, too crunchy, too chewy or had a weird flavor. 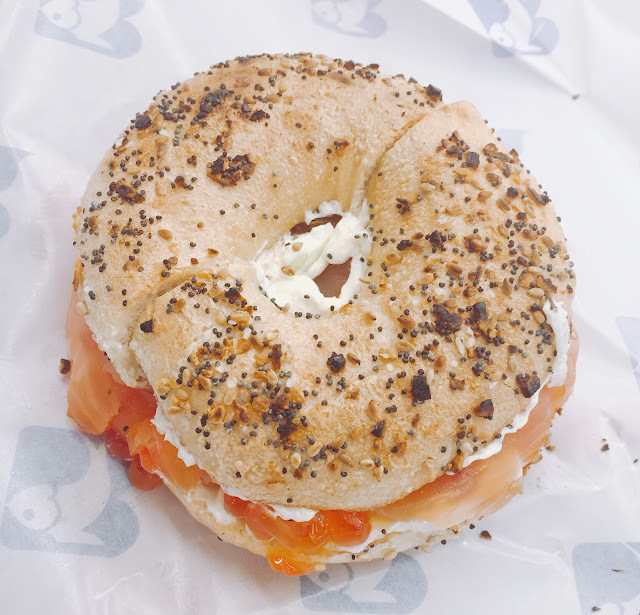 But then after trying the smoked salmon bagel with salmon roe at Russ and Daughters, we found a bagel that was near perfection (I mean, this deli can do no wrong). Not only was the salmon, cream cheese and roe incredible, but the bagel was the perfect combination of chewy and crunchy. Sarah fell immediately in love and couldn't wait to go back. Number of Chicken Sandwiches: TWO. 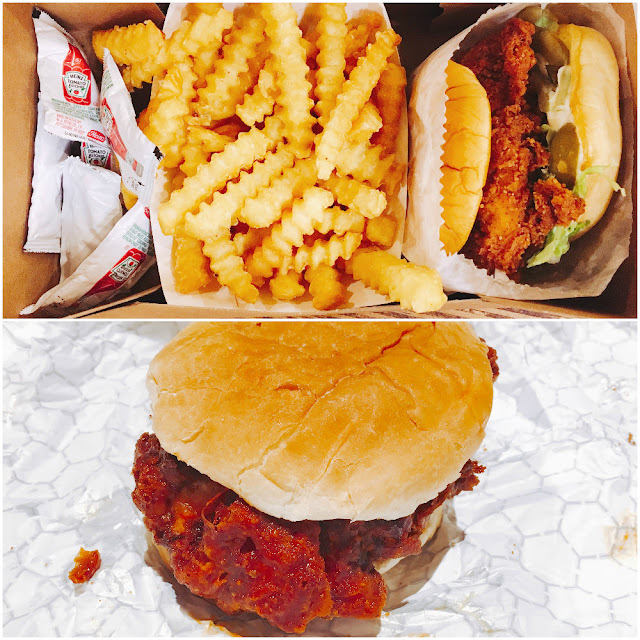 Sarah and her husband introduced us to two chicken sandwiches that were so crispy, tender, flavorful and delicious that my mouth is watering as I reminisce about them. 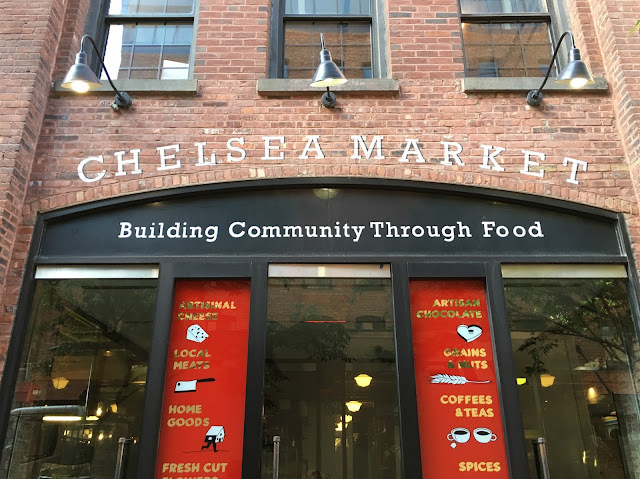 Shake Shack and Delaney's Chicken (inside the eclectic food hall UrbanSpace Vanderbilt) were real standouts and the perfect snacks along our food journey. (I know, you might be thinking, isn't Shake Shack for burgers? Trust me, try the chicken sandwich. I, too, had the same doubts). Best Refreshment: Apple Ginger Soda from Brooklyn Soda Works. I was thirsty from all the city walking so when we went up to the High Line, I grabbed a quick beverage to quench my thirst. Little did I know that it would be one of the best drinks I've ever had in my life: a little spicy from the ginger and the perfect crisp flavor of a Fuji (?) apple, carbonated and completely refreshing. Best Pit Stop: The Chelsea Market was the perfect stop for shopping and snacking. We raided the Bowery Kitchen Supplies and sampled sausage at Berlin Currywurst, Squid Ink Bolognese Pasta from Rana and Goat's Milk Soft Serve with a Halva Topping at Seed + Mill. To be continued---I haven't even gotten to the cupcakes and other desserts!